Anfi Beach Club is known throughout the timeshare industry as a real gem. Ideally located on a heart-shaped island in Gran Canaria, it offers everything you need. The beach is right on your doorstep, and there are a wide variety of on-site bars and restaurants. Let’s not forget the stunning mountain views and landscaped gardens. Multiple swimming pools await, along with beauty salon, gym, and much more. It’s no wonder that Gavin Brown (manager of the Travel and Leisure Group Buying Department and Anfi specialist) not only wanted to visit—he’s now an owner during week 29! Since he just got back from his very first stay, we had a chat with him about this gorgeous resort. TLG: After being in the timeshare industry for so long, what was it that finally made you buy a timeshare week? GB: For past holidays I’ve tended to book package holidays with online travel agents. While some of these holidays have been very memorable, sometimes there has been disappointment with room location and hotel standards. Timeshare resorts, particularly Anfi, offer higher standards of accommodation in superb locations. 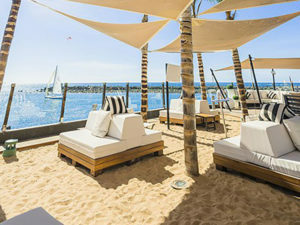 TLG: What made you choose Anfi Beach Club over other resorts? GB: Having sold so many weeks at Anfi Del Mar, I now have a great deal of knowledge about their resorts. A fantastic week and apartment became available at a great price, and I couldn’t pass it up. It was definitely time to experience being there. TLG: Have you ever been to Anfi before? If not, why? GB: Prior to purchasing, I hadn’t yet visited Anfi personally. My world travels have been extensive, and I generally prefer to go further afield than the Canary Islands. TLG: What were the resort facilities like? GB: The resort facilities were excellent. 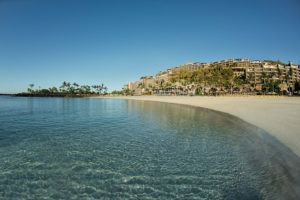 Anfi Del Mar comprises four resorts by the sea. While I own at Anfi Beach Club, I can use facilities at any of the resorts. Each of them has swimming pool complexes, bars, and restaurants. At Anfi Beach Club, there is even a small supermarket on site. There are always activities for children during the day, and live entertainment every evening on the seafront. TLG: How did you find your apartment? GB: Incredible! It was very spacious with an enormous balcony. The view was marvellous looking out over the swimming pool, beach, and sea beyond. The apartment is luxurious and has all amenities such as washing machine, dishwasher, and so on. The lounge and bedroom have flat screen TV, and the large bathroom has a marble finish throughout. The little touches are wonderful. TLG: What were the best moments of this week? GB: Hiring a small private cruiser for the afternoon with eight friends. We were taken around part of the island to go scuba diving. We also hired a jet water scooter for the first time, which was an exhilarating experience and great fun. Another thoroughly great time was lunching on fresh grilled fish at the on-site restaurants. It was a perfect meal accompanied by the staff recommendation of a great local wine. TLG: How reasonable are the maintenance fees? GB: Very reasonable when you compare them to prices at other 5* resorts around the world. TLG: Would you recommend Anfi to others and why? GB: Of course! 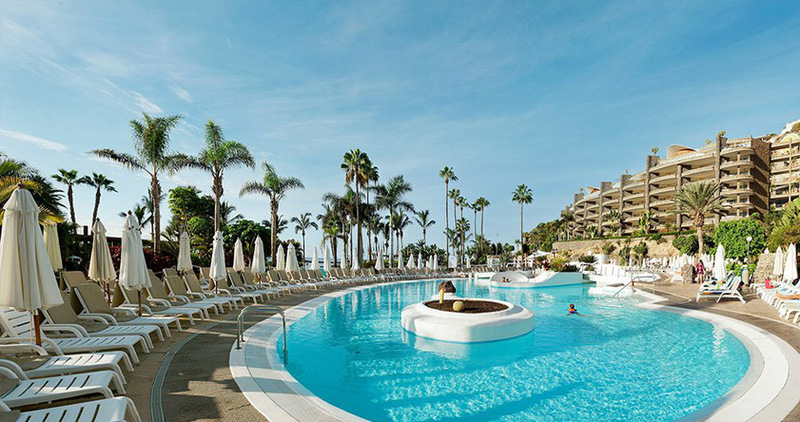 When it comes to value for money, I consider this the best resort in Gran Canaria. There is something there for everybody. The standards are extremely high and the service is outstanding. The weather is the same year-round, with temperatures averaging 27 to 30C. A perfect temperature! Thanks for taking the time to talk with us, Gavin! If this has made you consider Anfi Beach Club, or any of the other Anfi resorts, why not call Gavin himself or one of his colleagues to discuss further? Our Buying Team are on hand to help. Or if you’re a fellow Anfi Beach Club owner looking to pass along your week to a new owner, then contact the Selling Team. With such an outstanding resort and facilities, we’ll put your week in front of a plethora of interested buyers.